The world famous Eerie Erie is a Halloween themed 5k and 10k race that runs through historic downtown Erie and takes advantage of our beautiful trail system that weaves along Coal Creek open space areas. The 10k passes by scenic Pleasant Hill Cemetery with panoramic views and where friendly spirits can’t wait to visit this year’s runners. 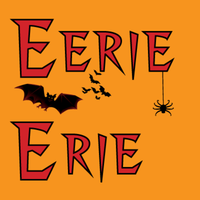 Eerie Erie is the primary fundraiser for the Optimist Club of Erie, a non-profit organization whose sole mission is to benefit the children of our community by funding youth specific events, programs and activities throughout the year. You can learn more about the Optimist Club of Erie at www.erieoptimists.org. ** Start times are subject to change - please check www.erieoptimists.org for the latest information.